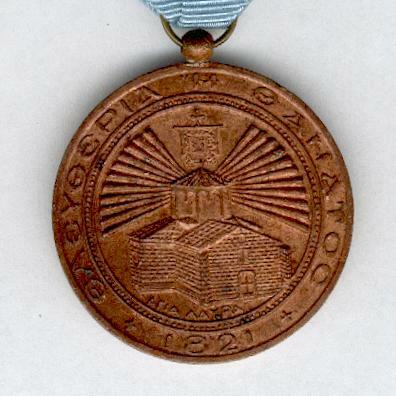 Circular bronze medal with laterally-pierced ball suspension; the face with a circular central medallion with a radiant view of the Agia Lavra Kalavrita, key Peloponnesian site in the Greek Regeneration of 1821, inscribed below ‘ΑΓΙΑ ΛΑΥΡΑ’ within a ring inscribed ‘ΕΛΕΥΘΕΡΙΑ Η ΘΑΝΑΤΟΣ (Freedom or Death, the motto of Greece) and dated’ + 1821 +’; the reverse with a circular central medallion with a phoenix rising from the flames, a cross above, a ribbon below inscribed ‘ΤΙΜΗ’ (Honour), signed ‘I. 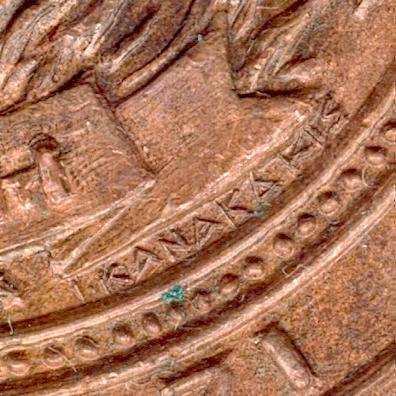 KANAKAKIS’ within a ring inscribed ‘ΕΘΝΙΚΗ ΠΑΛΙΓΓΕΝΕΣΙΑ’ (National Regeneration) and dated ‘ + 1821 – 1971 + ‘; on original ribbon, brooch-mounted for wear. 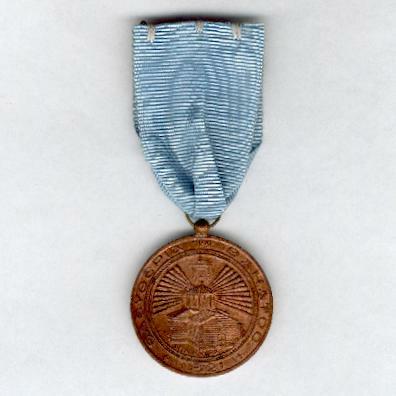 The Medal was created in 1971 to mark the hundred and fiftieth anniversary of the Greek Regeneration of 1821 that led to Greek Independence but, for reasons unknown, was never issued. 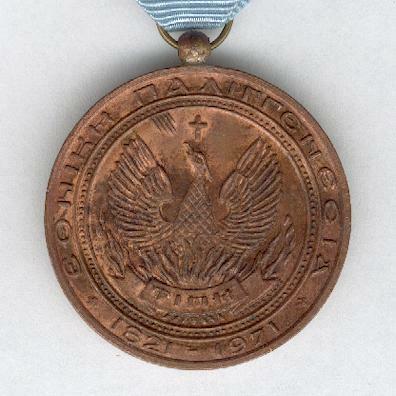 The medal is rare.